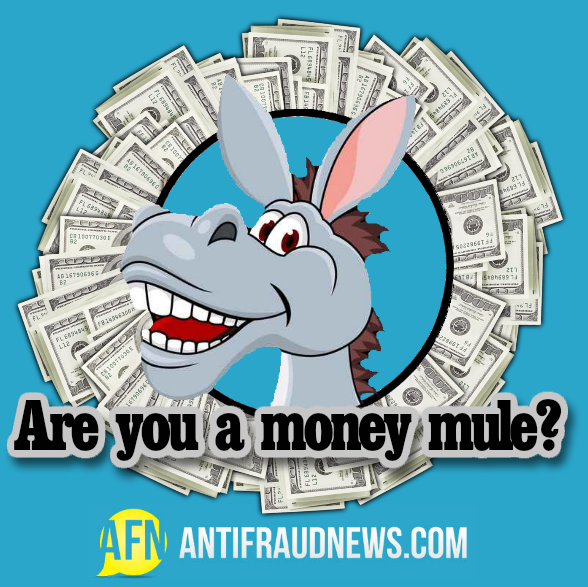 Are you a Money Mule? Most people think they are too smart to become a victim of a scam, never mind become a money mule for a criminal. But it is happening on a regular basis and you need to know what to watch for to make sure that it never happens to you. Usually the money mule scam involves the criminals posting an online job advertisement, often for a position such as “shipping manager” or “financial manager”, claiming that no special knowledge or skills are necessary…just that you need to have a bank account. This should be a big red flag right there for the job applicant, as they are about to be turned into a money mule. If the applicant decides to work for the fake company, they might even be asked to sign official looking documents, as the scammers want to make it seem like a legitimate business. What happens next is that the money mules are then asked to deposit money into their own account. These funds have been illegally obtained, and then the money mules are asked to wire the money to someone else, minus a commission payment for themselves. They are illegally transferring stolen money. Seems like an easy way to make a bit of money, right? Wrong. The commission that the money mules received as payment for their “work” will be recovered by police who will no doubt find the money mules, as they are always the easiest part of this criminal investigation to track down. While the criminals who have orchestrated the scam remain safely hidden behind the money mule, usually in a different country, the money mules bank account will be closed and they will have a difficult time getting a new one opened after their part in the criminal activity. It is important, even when you are looking for a job, to be wary of offers from companies from out of the country as it is difficult to verify that they are exactly who they say they are. Becoming a money mule is not the way to go. It is important to always remember…if it sounds too good to be true, it probably is.